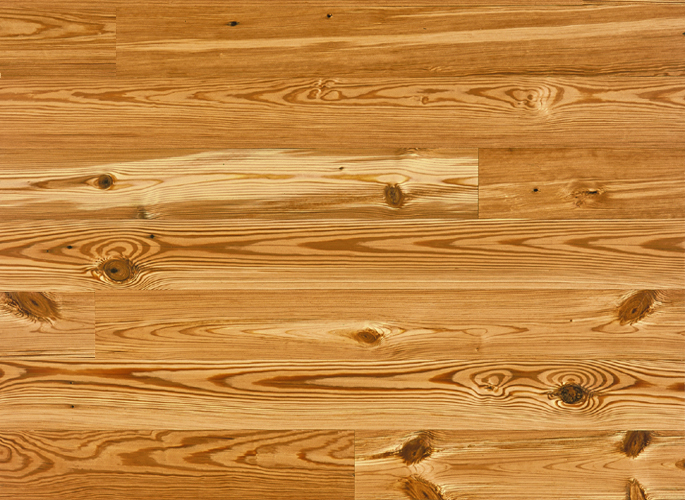 Our best selling grade of Antique Reclaimed Heart Pine, Select is chosen for the character and warmth of reclaimed woods. With a dense grain of 90-100% heartwood, Select is a mixture of plain and vertical grains. Knots range from small to large, increasing proportionately to floor width. When present, scattered nail holes are small and infrequent. Sound surface check and crack may be included for character, and individual floor boards may provide contrasting hues naturally found in reclaimed heart pine.